Manor College has been selected to receive HealthLink Dental Clinic’s Community Partner Award at their Anniversary Cocktail Party Fundraiser on Wednesday, September 26, 2018. This award acknowledges the clinic’s partners that have contributed to the success of HealthLink. Healthlink is a free dental clinic that serves uninsured, low-wage earning adults in Bucks & Montgomery Counties. 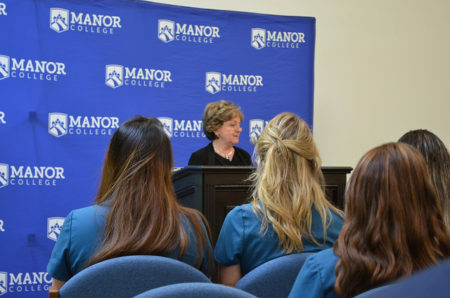 2018 has been an exciting year for the Dental Hygiene Program at Manor College. The program was recently ranked as a Top Five Best Dental Hygiene Program in the state of Pennsylvania according to Universities.com. The Program and the entire College community are grateful for this award. Manor College is looking forward to continuing its relationship with HealthLink Dental Clinic, an organization that has such a positive impact.